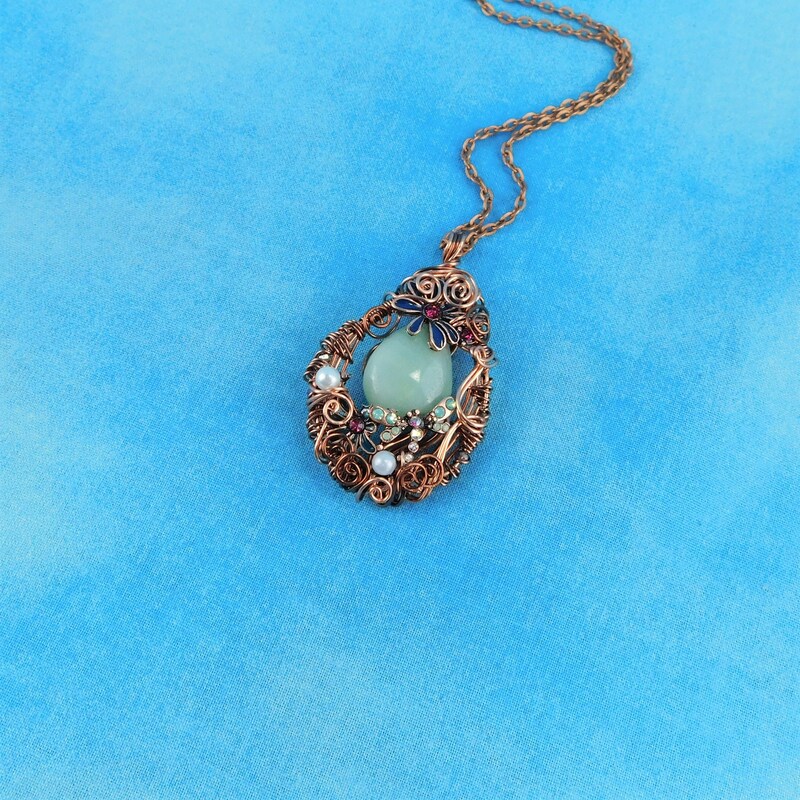 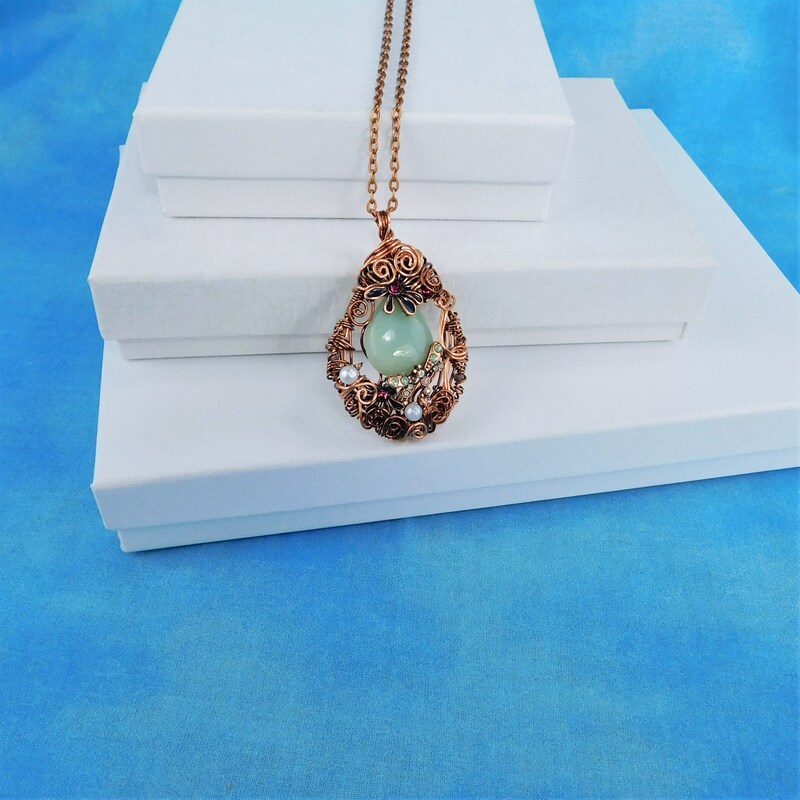 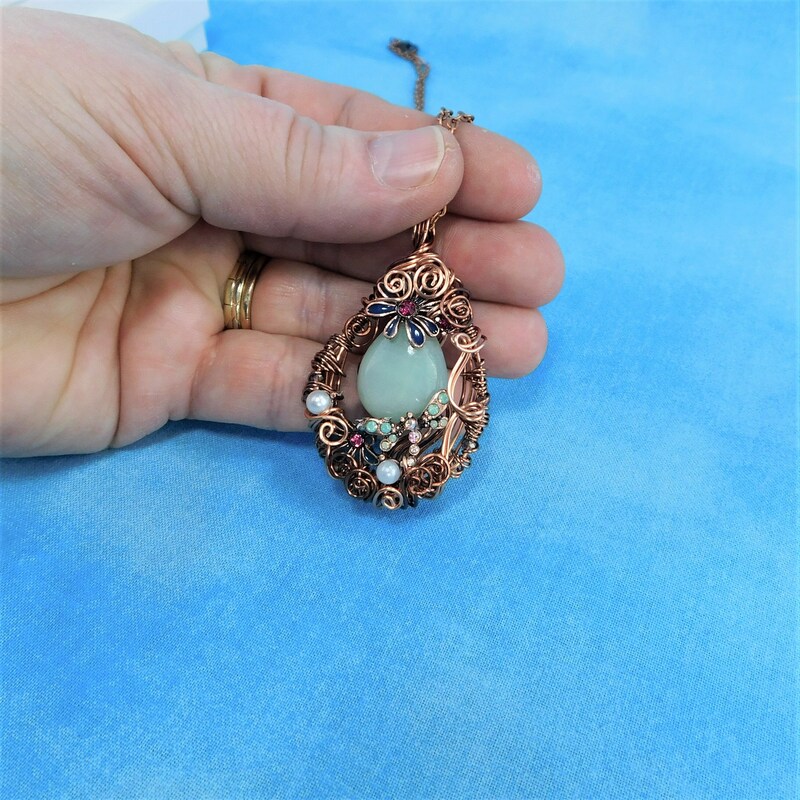 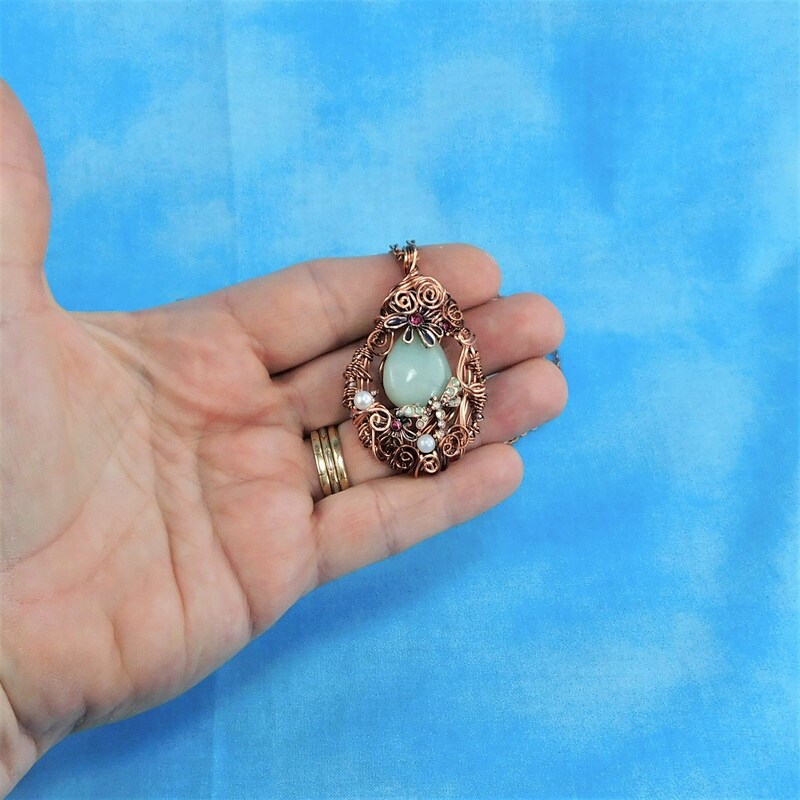 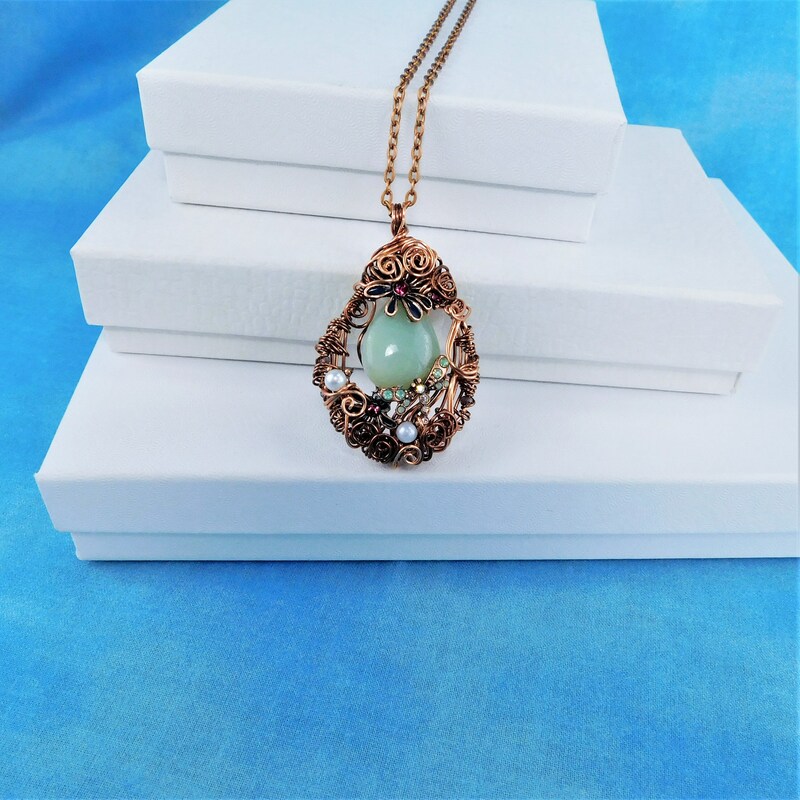 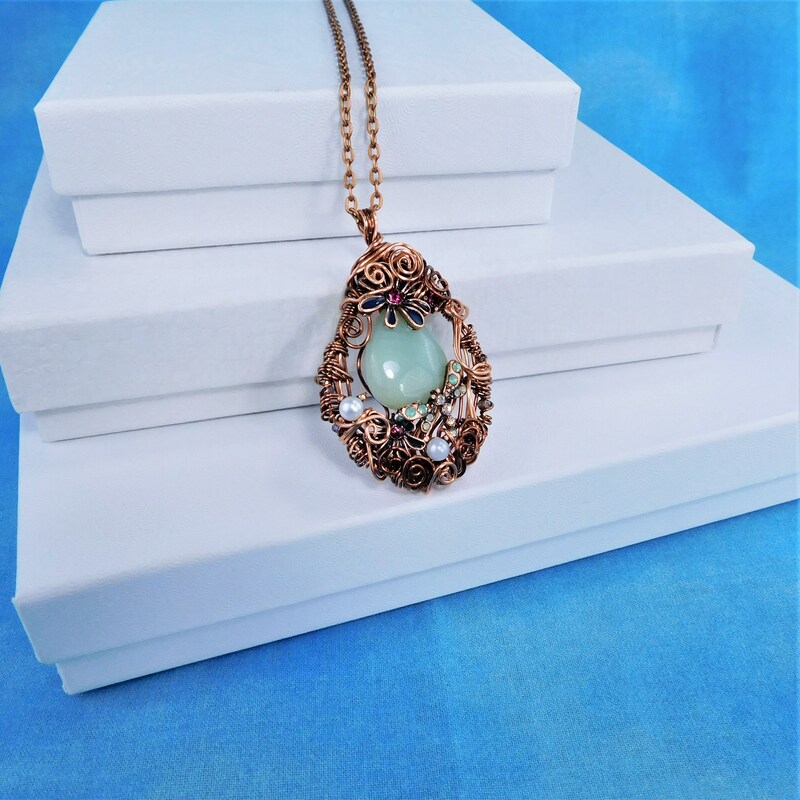 A beautiful piece of green jade is framed in artistically artisan crafted woven wire, embellished with metal flowers, rhinestones and a rhinestone studded dragonfly. 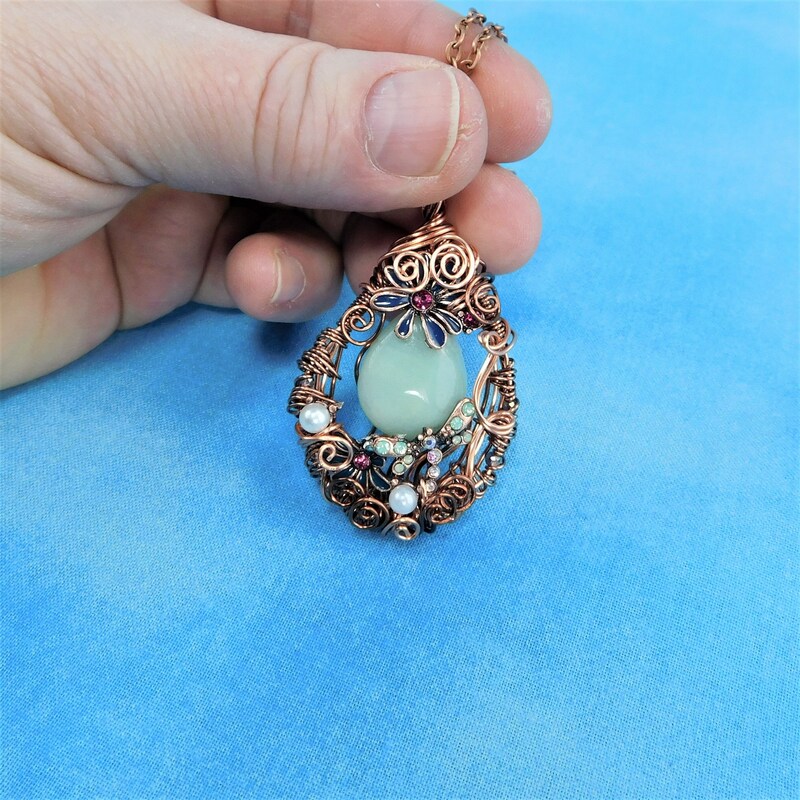 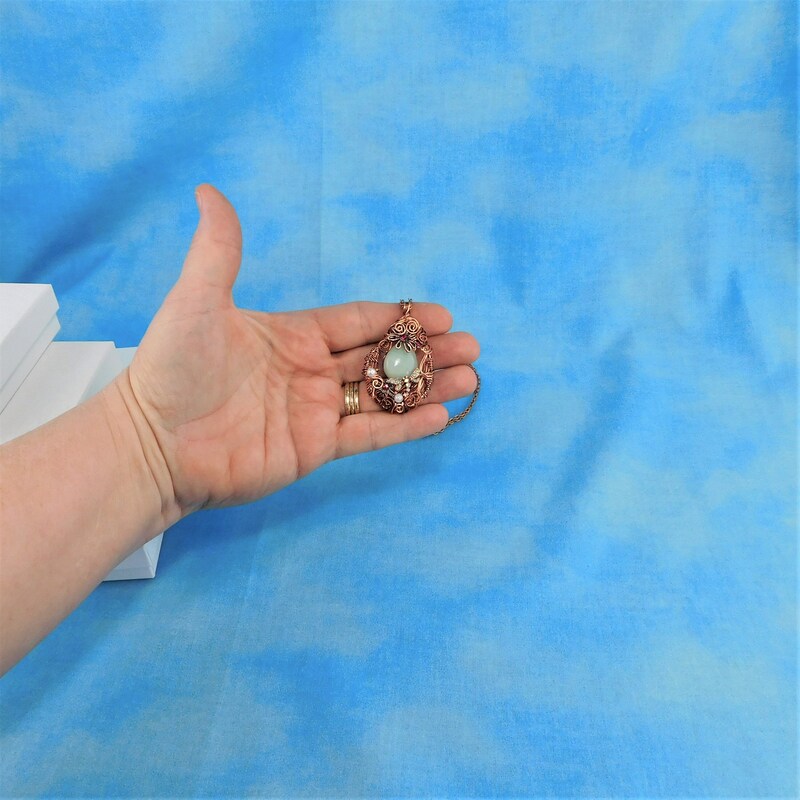 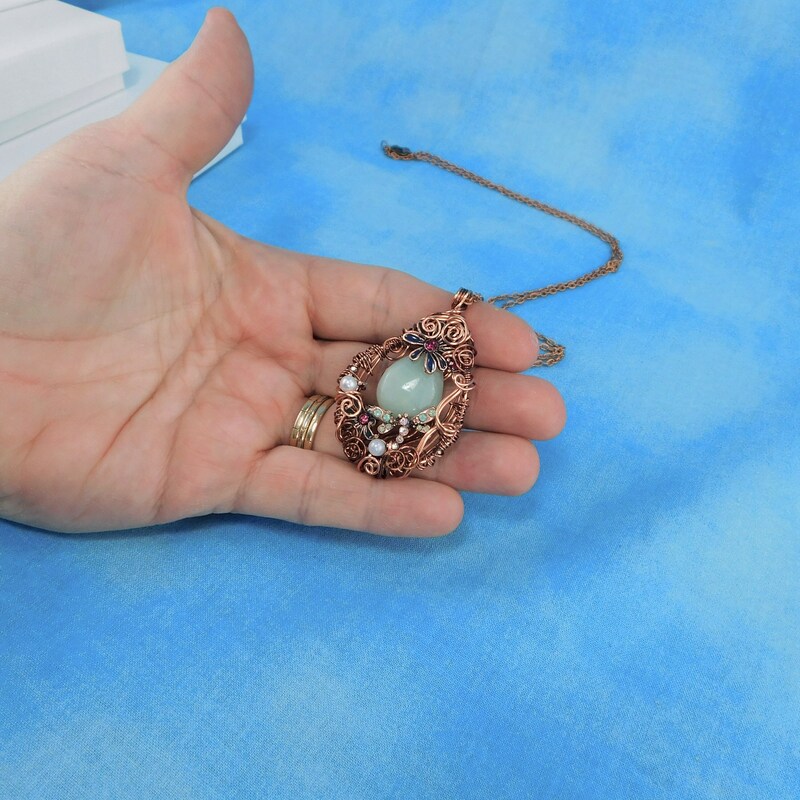 This handcrafted piece was created with five individual strands of wire, incorporating the gemstone with dragonfly and flowers, within the weave of the wire. 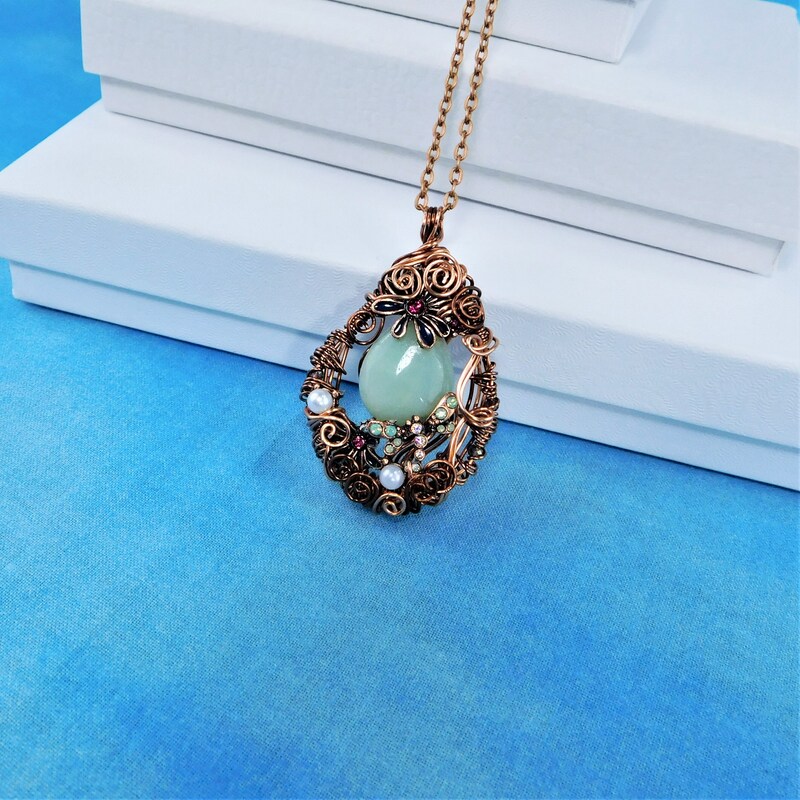 It is not only a creation of artistry, but also a little bit of engineering.